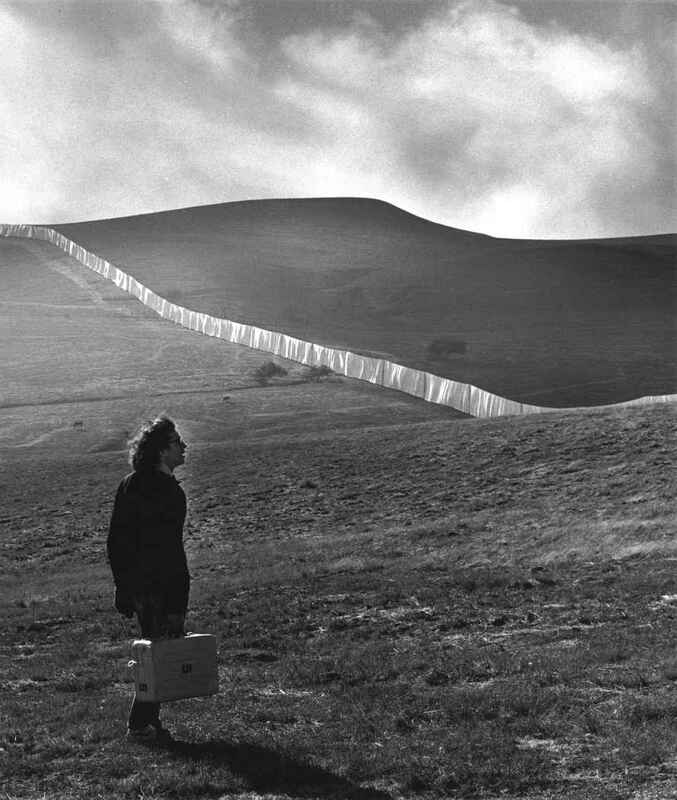 While ARThound is delighted to be attending the festivities surrounding the “Christo and Jeanne-Claude: Remembering the Running Fence” exhibition opening this Friday in Washington D.C. at the Smithsonian American Art Museum, there is something to be said for local talent. 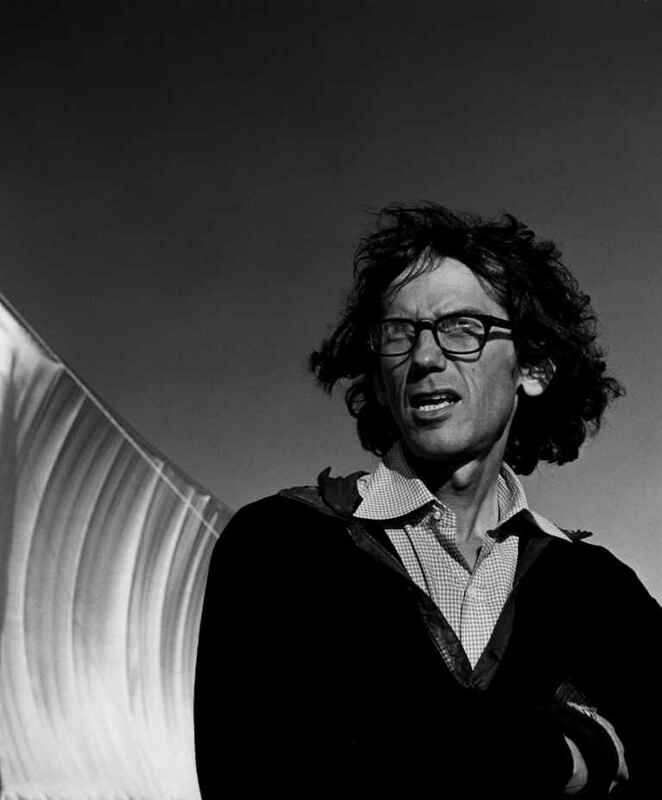 The late Petaluma photographer Morrie Camhi took two of the best portraits of young Christo ever and they are not at the Smithsonian; they are currently on display in Petaluma at the Petaluma Art Center through April 25. The show in Washington includes the camera-work of Gianfanco Gorgoni, Italian, who handled portraits and Wolfgang Volz, German, who did the landscape shots of the fence. Were Camhi’s two portraits in the show, they would likely be referred to as the little jewels that best captured Christo the man in this gargantuan project. What is immediately evident in these images is Camhi’s use of light and the definitive expressions he captured in all his subjects. The Christo portraits are remarkable though–evoking the determination, defiance and grit that came to define Christo as well as his own sense of wonderment with the fence. We can almost feel the cool ocean wind blowing as Christo stands in a field with suitcase in hand before the lyrical creation that took him years to realize. The suitcase says it all–traveler, pied piper, magician, bureaucrat–work accomplished, Christo came and went leaving us to sort out hwat it all meant. Camhi has pulled so much from the negative, producing a dark broody silouette like image masterfully printed in silver gelatin. Thank you, Christo and Jeanne Claude for fighting for this project with your heart and soul and thank you Morrie for these images which ignite our memories of this artistic duo who showed us all how to dream big.